The Kolo Sisters of St. Sava Serbian Orthodox Church have been busy for weeks as they recently hosted their spring bake sale, but work continues as colored eggs are needed to be blessed Easter Sunday, April 16. 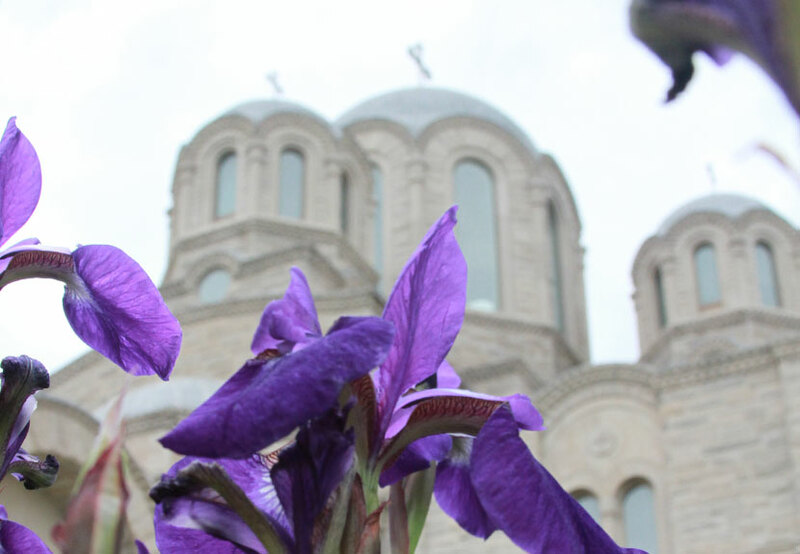 Please bring colored eggs early to the church before Divine Liturgy begins Sunday. 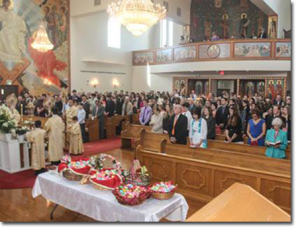 Easter Sunday at St. Sava Church, Merrillville, Indiana. One of the most widespread Easter custom among serves as the coloring of eggs. This custom dates back to Mary Magdalene after Christ’s Resurrection. She traveled to Rome to spread the gospel. There she greeted the emperor Tiberius with “Christ is risen!” and gifted him with a colored egg. When the Christians learned what Mary Magdalene had done, they too followed her custom. The custom is universal throughout the Orthodox East and, in fact, prevails throughout Christendom as a symbol of Christ’s Resurrection. In many places, eggs are color red, reminding us of Christ’s blood. While the color usually used for dying eggs is red, any bright color is permissible. The eggs may even be multi-colored. The eggs signify the picture of life, death, decay, and resurrection of man. They represent the Resurrection and the second life, because eggs, too, are born twice: the first when the egg is laid on the second when it is hatched. The egg is protected by a shell. The same happens to man: the first his natural birth; the second his rebirth at Christ’s second Advent. The custom of dying eggs is often a solemn process that often begins with prayer. 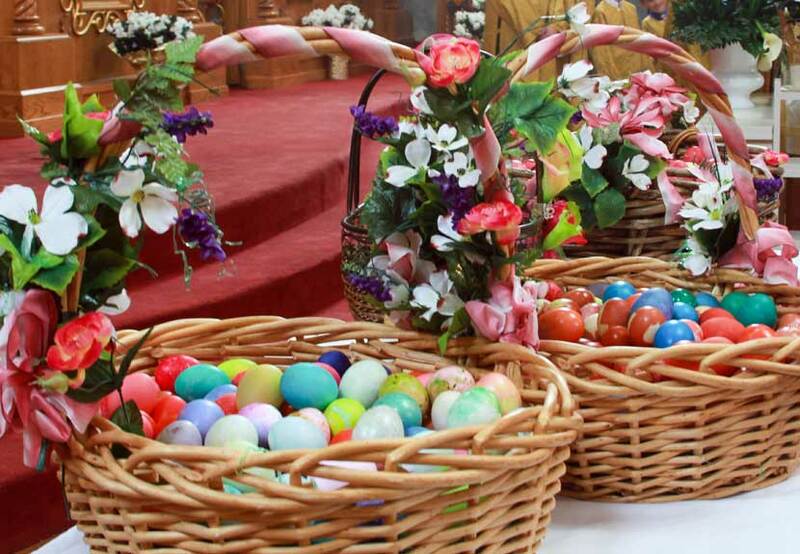 Following Divine Liturgy on Easter Sunday, the colored eggs are blessed and distributed to the faithful. They greet each other with “Christ is risen!” and exchange eggs.